**First release on a new label from Max Tundra featuring his first productions to surface publicly for over 7 years, fronted by manufactured millennial pop starlets Daphne & Celeste* There’s little doubt among anyone familiar with Max Tundra’s oeuvre that his early 2000’s releases for Domino kinda pre-empted the whole PC Music thing by a decade or so, all hi-sheen bubblegum pop rendered through obsolete digital technology, hooky as hell and just a little bit unsettling to boot. Having laid low since the release of 2008’s 'Parallax Error Beheads You’ he now resurfaces with a new label and a totally unexpected collab with Daphne & Celeste, whose ohrwurm pop irrevocably infected the western world between 1999-2000. As the label explain: “some time ago Max Tundra tweeted D&C, asking if he could write and produce a comeback single for them. Celeste replied with a cheery "That sounds rad!" and they started emailing. Max (literally) dreamed of a spooky, slightly odd pop tune with two girls singing it. Quickly, upon waking up, he switched on his studio machines and recorded a demo version of the track. Then he wrote some lyrics and sent these over to Daphne and Celeste. 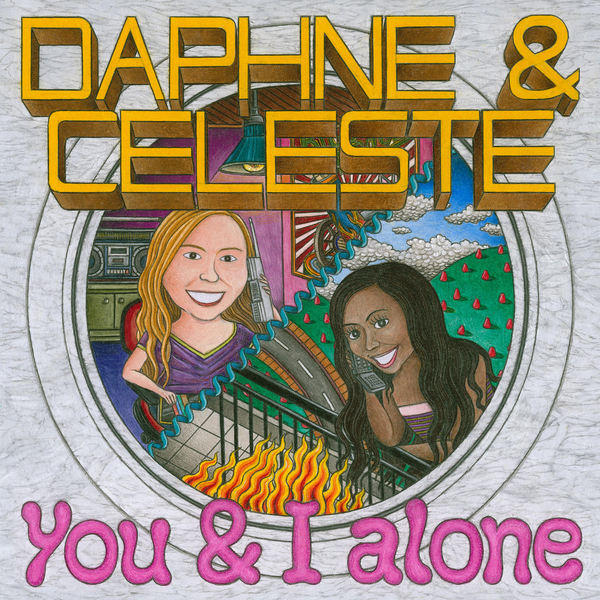 They sang their hearts out across the Atlantic Ocean - and You And I Alone is the result.” Anyone with a functioning memory and a sweet pop tooth will really struggle to get this one out of their heads after just one play, but it’s a million miles away from the chipmunk pop Daphne & Celeste were known for. By contrast, the vocals here are crisp and clear, propped up by one of Max Tundra’s brilliantly weird and catchy productions, sort of somewhere between Sophie and Scritti Politti - if you can imagine such a miraculous thing.